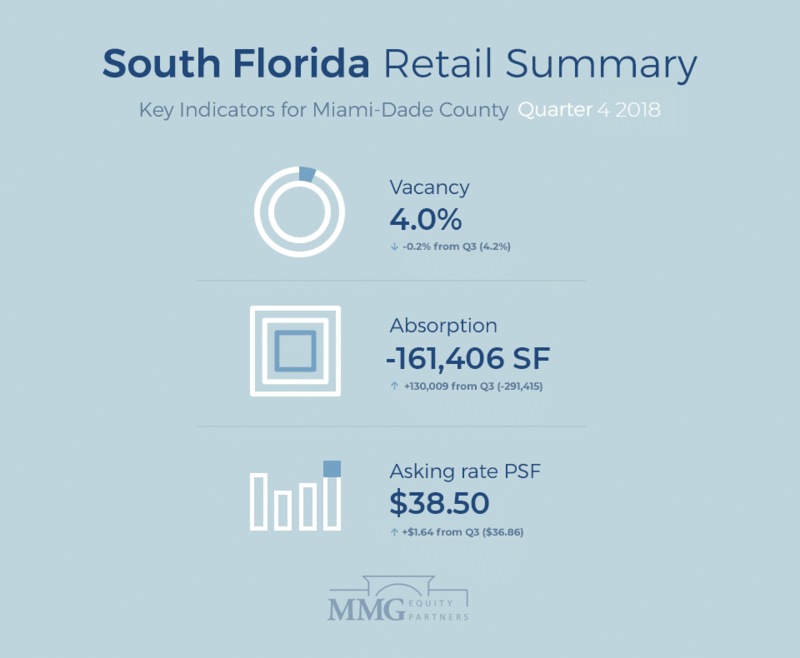 A summary of the highlights, trends, and current market activity of Q4 2018 for South Florida commercial real estate focusing on Miami-Dade County: Analysis derived and compiled from leasing data and transaction reports in order to better understand the overall health of the CRE market in Miami-Dade County. In Q4 2018 Miami-Dade County’s vacancy rate decreased -0.2% from 4.2% in Q3 2018 to 4.0%. The asking rate per sq. foot moved up to an average of $$38.50, which is +$1.64 per sq. foot compared to Q3’s average of $36.86/ sq. foot. Meanwhile, the absorption rate moved up from -291,415 in Q3 to -161,406 in Q4, which represents a +130,009 SF change quarter-to-quarter. 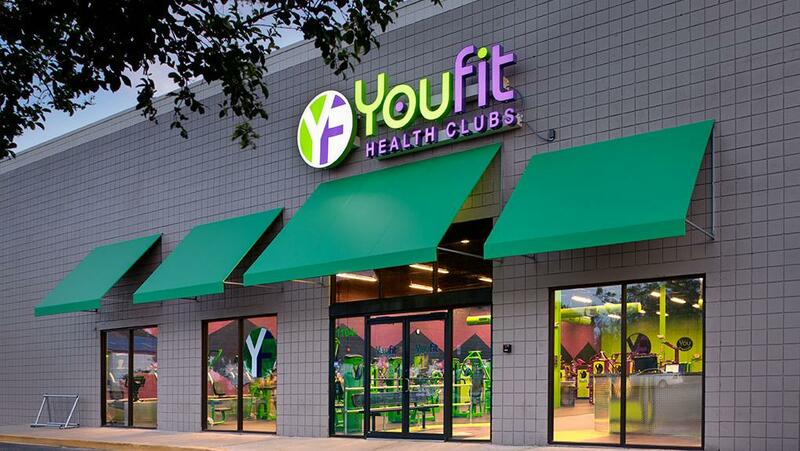 Top Transaction Highlight in Q4: Midtown Capital Partners acquiring Downtown Dadeland for $78.2 million with the following tenants: Orangetheory Fitness, Ghee, Pasión del Cielo, West Elm, and Harry’s Pizzeria. The 127,240 SF retail property was 97% leased when purchased. About Midtown Capital Partners: Midtown Capital Partners is a real estate investment and asset management firm. Founded in 2010 by Alexander Saieh and Alejandro Velez, the Miami-based commercial real estate firm currently manages over $450 million of income-generating properties in South Florida. One of the highlight sales transactions is that of a former Toys R Us store, which is an example of the reutilization / revitalization of major store spaces that were occupied by a “category killer” retailer. 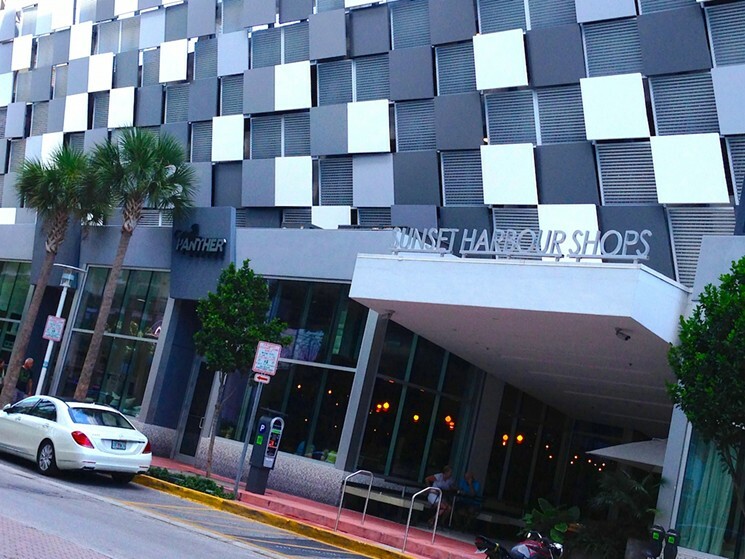 There are currently 55 retail properties under construction in the Miami market representing 3.15M square feet of new product. 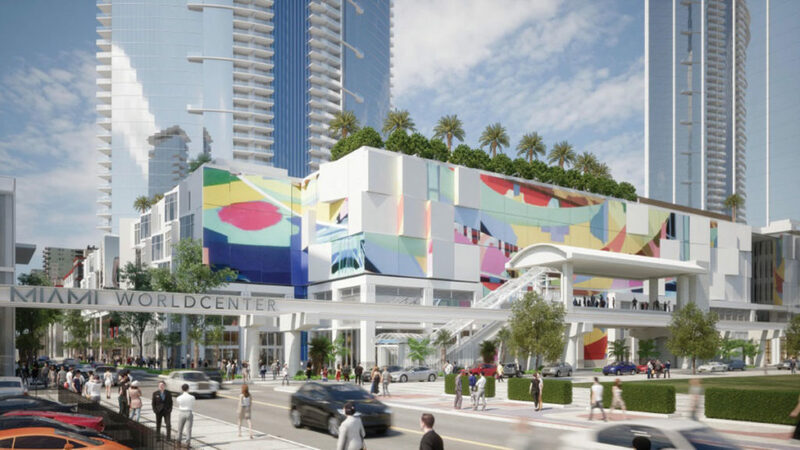 The following are the top 7 largest retail projects currently under development. Vacancy rates in the South Florida commercial real estate market have stayed around 3-4% consistently for over 3 years now, even with rental rates reaching historic highs. Miami-Dade County continues to lead rental rates in the area at $38.50/ sf, opposed to Broward County at $20.95/ sf, and Palm Beach County at $24.06/ sf respectively. Happy to hear you like it, Otto. We update this report every quarter. Cheers!